We don’t know who you are, it’s that simple. Click the suggest a site link in the navigation bar above and tell us all about you. We’ll review it and if you’re primarily an Australian food blogger, we’d love to have you on our list. Just having a few recipes or a few restaurant reviews isn’t enough if the majority of your blog is about something else. I was on the list and now I’m not, why? Alexa.com is the ranking system we use. They provide us with a breakdown of traffic by percentage. 100% of the sites on Aussie Food Bloggers are in the English language. We’ve evaluated all the blogs listed on the first page of Aussiefoodbloggers.com.au and the majority of their traffic is under 1% from non-English speaking countries. If a blog is over 15% it will be dropped until it falls under 15%. At the moment we’re using only data from Alexa.com but we’ve got the propeller heads working on a new algorithm that will take into account a site’s social media stats that will help determine ranking. Post frequently. If you’re posting once a week, try twice. Visit fellow food bloggers and leave comments – they probably have an Alexa toolbar and their visit in return will help your ranking. Post the best content you have. Post what people will want to pin, stumble, Facebook and Google+ share or tweet. If your photos don’t look great, reshoot. Check your lighting and white balance. Food blogs are 70% about the photos. The list is updated as soon as we detect that Alexa rankings have changed. This is usually happens once a day, but sometimes there are multiple updates in 24 hours and sometimes none. Why did you make this list, anyway? It keeps food bloggers inspired to know where they rank against their peers. We like knowing where we are because it helps us on our journey to meet our goals. Someone might be happy at position 400 and someone at site 24 might be distressed at that position. Thankfully the numbers change nearly every day. If your product or service is relevant to food bloggers and those who love them, leave us a message through our contact form and we’ll send you our rate sheet. In a word, no. Why do we use it? Because there’s no better alternative at the moment. Alexa gathers data from a group of viewers who use their Alexa toolbar and extrapolates from there how many people would have visited that site who didn’t have the toolbar. Nobody other than site owners have access to a site’s actual traffic data, so any third party traffic measure is always going to be a “best guess”. Compete.com also has a list but we think it’s less reliable than Alexa right now. Why do you have a blog that shouldn’t be on this list? Maybe the blog’s focus has changed from food since it was added. Send us a message through the contact link and we’ll have a look and if we agree with you, it will be removed. 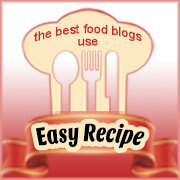 Why only Australian food blogs? Ummm, because that’s what we wanted. All of our data comes straight from Alexa.com which provides traffic data, global rankings and other information on 30 million websites. If they have insufficient data to rank the site, it’s listed as unranked. It’s all about traffic.